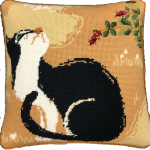 The needlepoint design area measures 16" x 10". If you want to keep your canvas taut we recommend a pair of 20" stretcher bars and a pair of 14" stretcher bars. Shipping is free to anywhere in the United States. For shipping costs and information see our shipping policy. 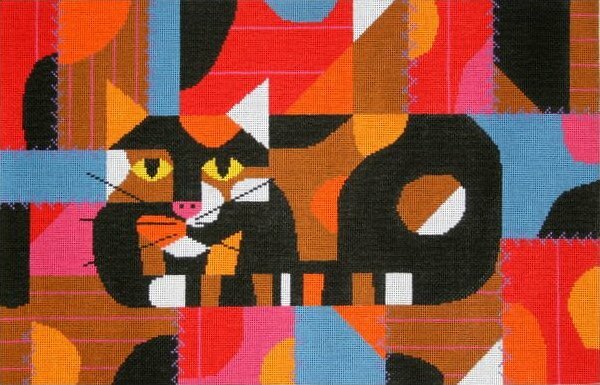 Crazy Cat handpainted Charley Harper needlepoint canvas usually ships in a 7-10 days. You can always check availability before you order.